The United States’ positive influence on the world is declining at a faster rate than any other country, according to a new study by Ipsos MORI. The international research organisation surveyed 18,055 adults from 25 countries. 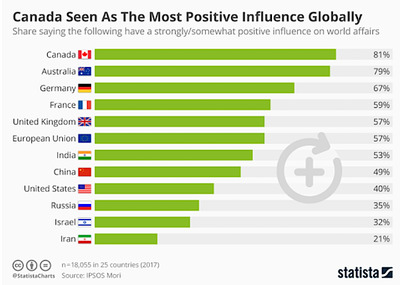 It asked them which nations and international organisations (including the EU and UN) they perceived as having the most positive influence on the world, and the results are eye-opening. 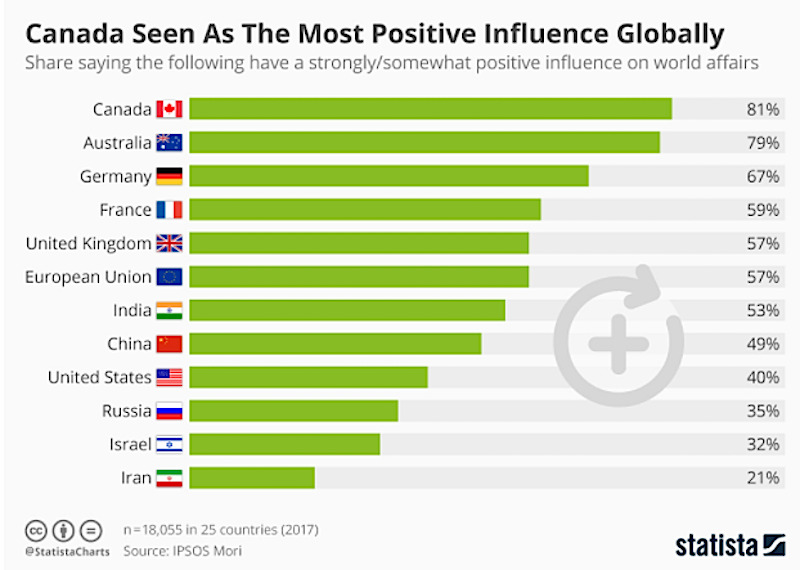 Respondents saw Canada as having the most positive influence on world affairs, with 81% of them putting it at the top of their list. However, perhaps more surprising is the US’s poor performance in the report. The country’s score plummeted 24% — more than any other over the past year. It now ranks behind China and only one place ahead of Russia. Clemence said: “Even a few years ago it would have seemed highly unlikely that we’d see China ranking above the US as a positive global influence.